At last! We are cooking Dry-Pot Chicken 干锅鸡. Dry-pot dishes are always so colorful and fun to eat that when I see them on the menu I find it hard to opt for anything else. 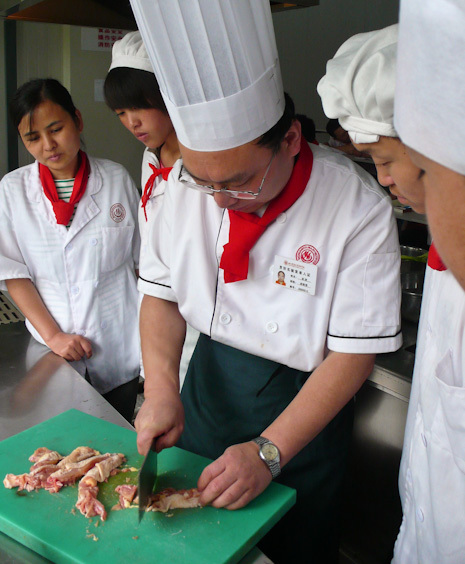 Dry-pot method infuses the ingredients with maximum flavor. 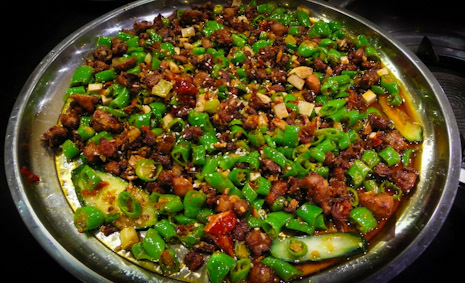 First, meats are marinated, then stir-fried to readiness, then fried together with spices, then tossed with the vegs. 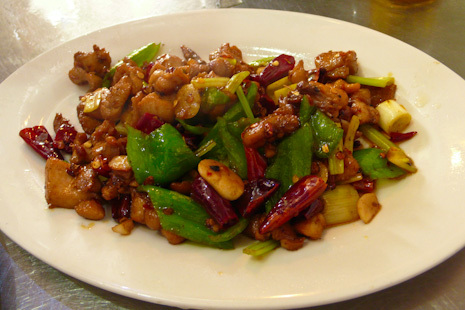 There is no use of starch, but the cooking wine is poured liberally to prevent the sauce from drying out. 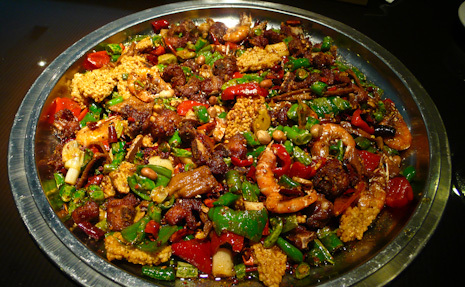 Any meat can be made into a dry pot: I especially love dry-pot frog, dry-pot shrimp, dry-pot beef, dry-pot tea tree mushrooms, dry-pot ribs and potatoes, dry-pot rabbit, dry-pot chicken... So it's chicken we'll cook. 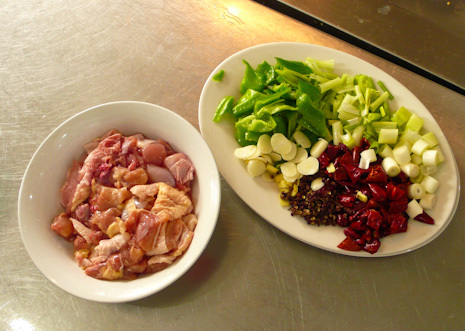 Here we have a chicken thigh, green peppers, celery, onion, chiles (soaked in advance to preserve color during frying), Sichuan peppercorns, sliced garlic and ginger. 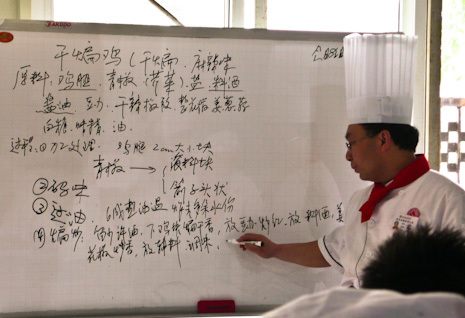 The professor produced a dish that was, indeed, of restaurant quality. Ah, precious memories of Chengdu... Dry pot with pork ribs and rice crusts (guoba) 锅巴排骨 in Big Mouth King 大嘴霸王排骨 with extra shrimp. Big-plate rabbit 大盘兔 in the same restaurant.